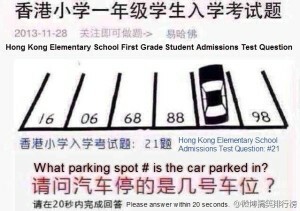 So in 20 seconds can you figure that answer out? 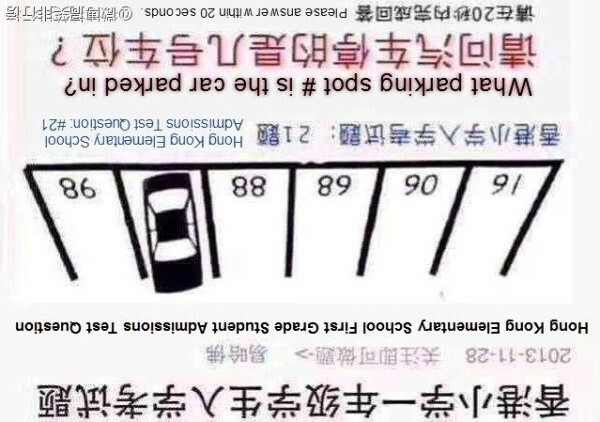 16 06 68 88 ? 98. Does that help? 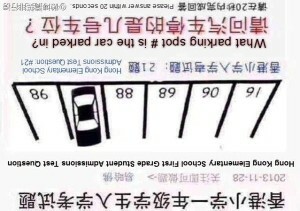 You can scroll to the bottom for the solution if you are still stumped. Solution: OK! so if you were unable to figure out the answer, it was 87. 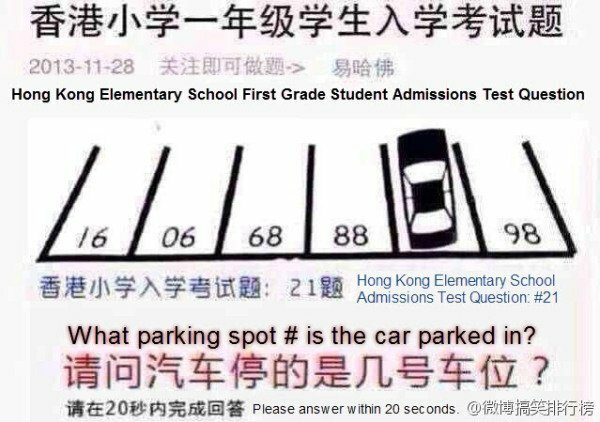 The original image shows a parking lot but the numbers are upside down, which would make sense if you were pulling into the parking space. The car pictured appears to have backed in. Ok, not terribly tough if you’re 30. But at 6? How old were you when you learned to tie your shoes? That is a pretty rough question. I’d like to see more! Edit: Even the Today show discussed it!